One of the things we have come to appreciate in our time on two wheels is a proper set of bibshorts. Yes, there are sometimes cheaper options out there. But when you are going to spend three to five hours in your saddle – the difference between a great ride and a ride from hell can easily be your choice of lycra. 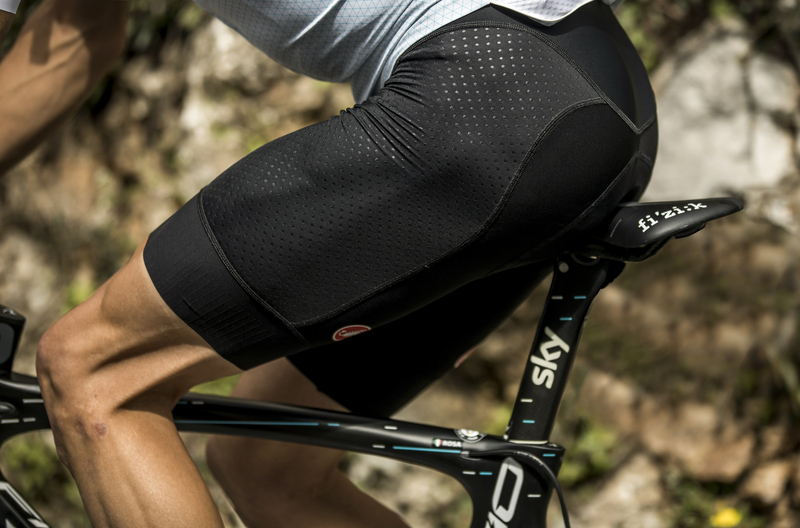 But bibshorts can be more than a good ride – as Team Sky and other pro teams have shown us. Proper kit can save you inches on the final sprint, and seconds up the most painful of climbs. 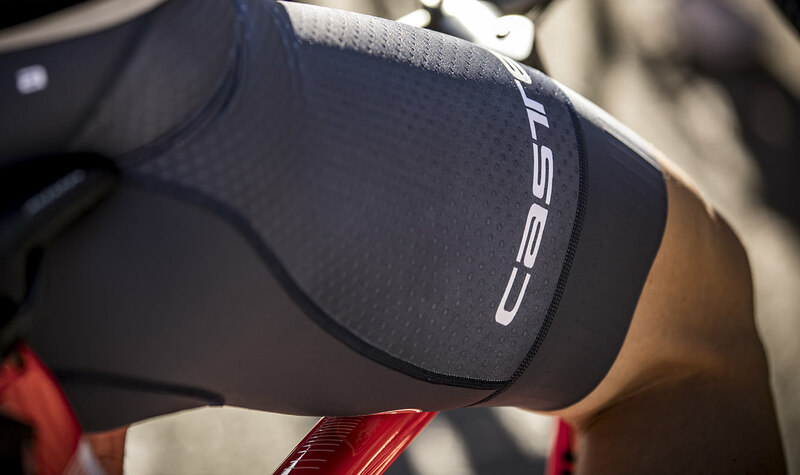 Which is why Castelli’s newly release Aero Race 4 Bibshorts caught our eye – because if they are good enough for Chris Froome and Team Sky – they are more than likely good enough for our local crit. The Free Aero Race 4 Bibshorts are the newly improved version of Castelli’s best-selling short of all time. The updated Progetto X2 Air seat pad is softer, stretchier and seamless for supreme comfort. All the fabrics have been improved for greater comfort, better fit and enhanced aerodynamics. The stripe mesh used is super-thin and featherweight to aid breathability. The top layer is a seamless, anti-bacterial fabric that isn’t attached to the cushion layer below, which is thicker where you need it under the sit bones. This means that the pad rather than your skin can move around, reducing friction on delicate areas. 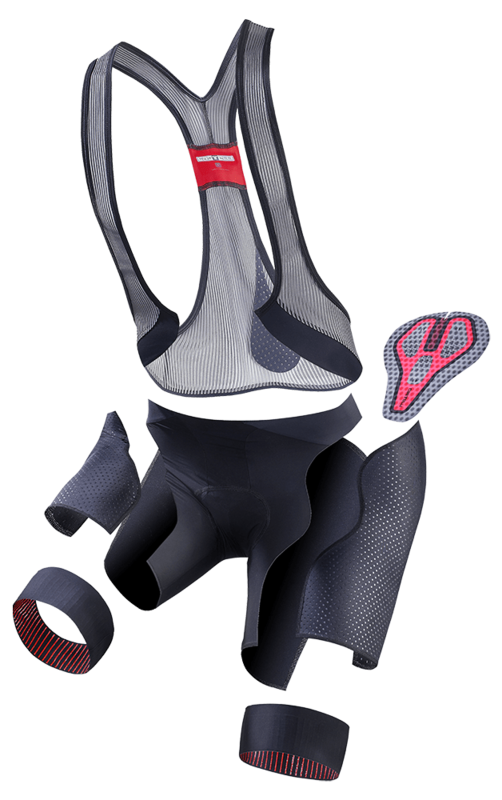 The perforation enhances breathability, moisture management and add support for the rider. The bibs and grippers are engineered for better hold without being restrictive. New lower leg grippers feature vertically running silicone to maintain grip but allow stretch through different phases of the pedal stroke. These also feature laser cut raw edges, added to improve comfort. Castelli’s suggested price is $199.99. As we said at the top – if it’s good enough for Froome it’s worth checking out. While at first you may think that a good bibshort is just for the roadies – plenty of long course athletes choose to take 2 minutes to change out of their water logged swimsuit into a cycling kit at T1. And for those that don’t, well thousands of training miles still require you to have invested in a quality kit or two. All that being said this kit from Castelli definitely has us interested. With the tens of thousands of miles the pro cycling teams alone have put on it we know it’s not just properly tested but pretty darn fast as well. Next comes our test. And we just received our set of Aero Race 4s this past week. So stay tuned to AeroGeeks.com for our in-depth review just a few weeks from now.